Are you looking for a new variant of discrete but different pramplate? 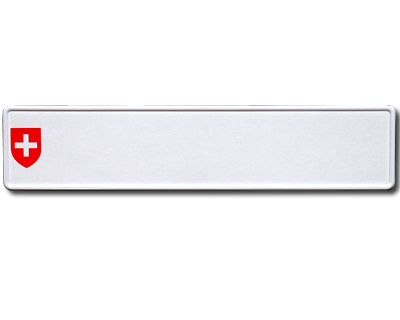 Our latest nameplates has a longer width but smaller height. 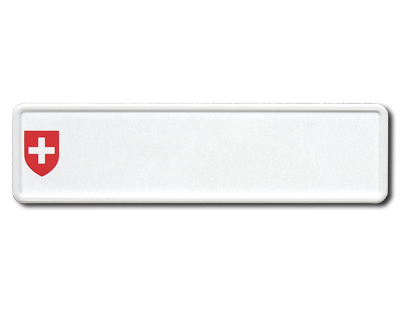 The pramplate is made of white reflective aluminum and a shield of Switzerland on the left edge. Embossed letterings. Size 340 x 90 mm. Max 9 characters.